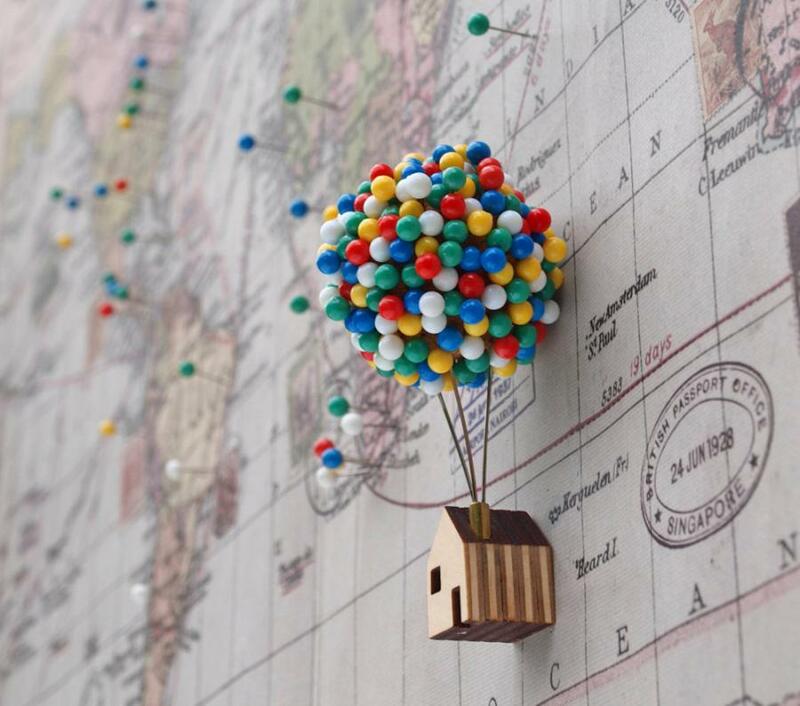 This pin holder is made to look like the floating house from the Pixar movie UP, as it's a tiny house attached to a bunch of pins that look like balloons. 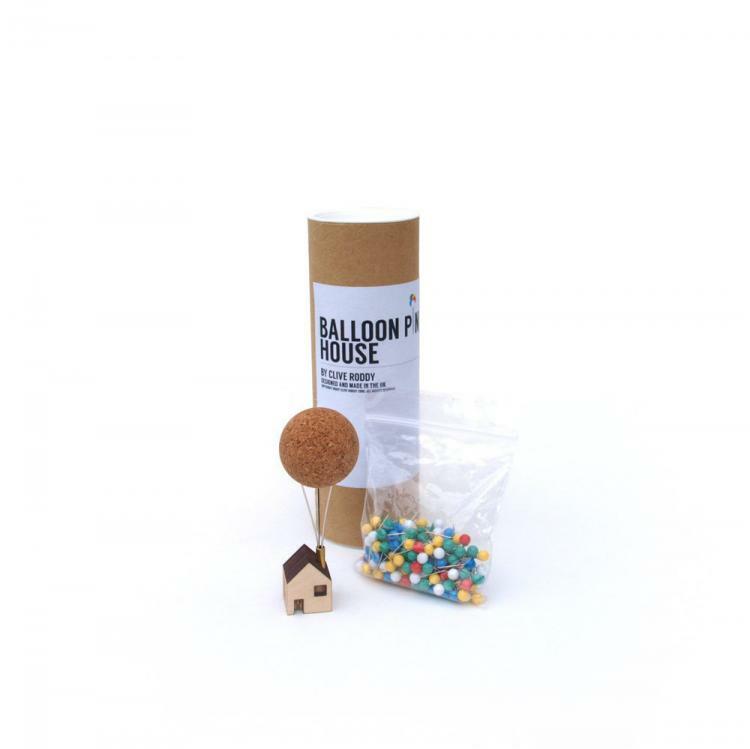 How it works is, a ball made of cork is on the center of the pins, so that when you get the package you'll need to stab all of the colorful pins into the cork in order for it to look like the floating house from UP. You can then take a pin out of the massive collection of balloons (pins) as needed to pin up a message, hang a poster, or put a point on a map. 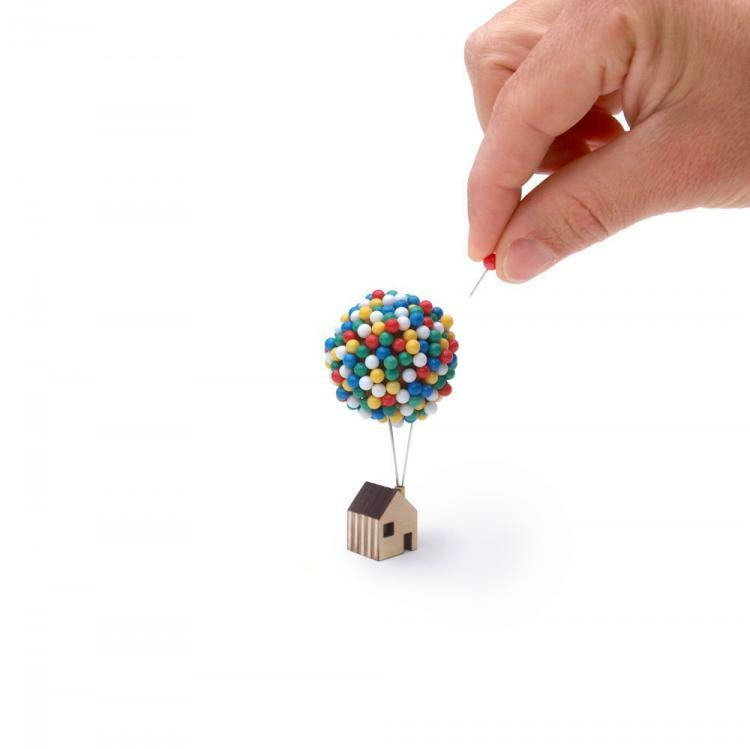 The balloon house pin holder was designed and created by Etsy store CliveRoddy, the same store that brought you the cactus coasters, and the landscape rings that we've featured in the past. Clive Roddy is a designer based out of a small rural town near Bath, UK, and has been designing unique products for over a decade. 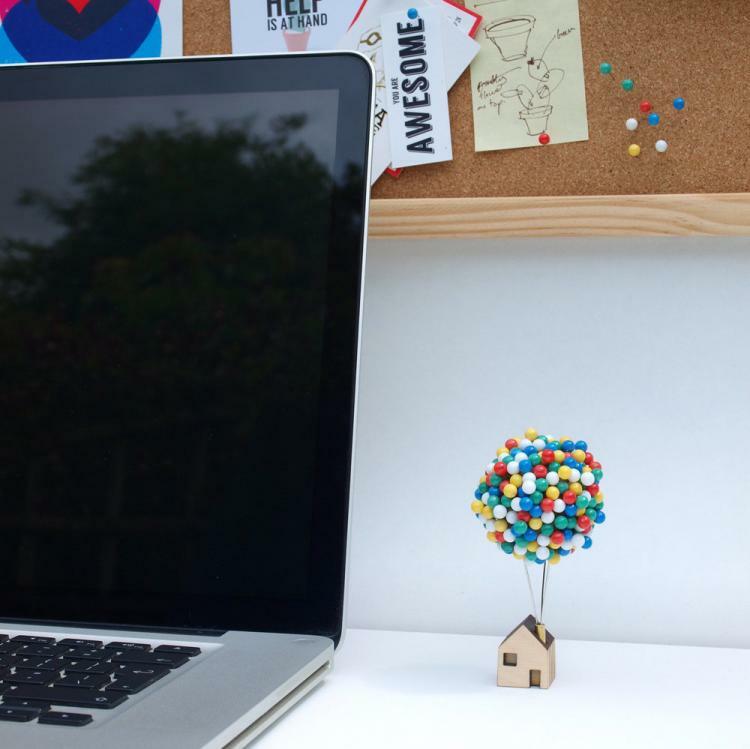 A perfect piece to set on a desk when you need a pin while at work, or to hang on a world map to take a pin out when you come home after visiting a new country, the balloon house pin holder can easily be placed on a flat surface, but will need a screw to be able to be hung on a wall. 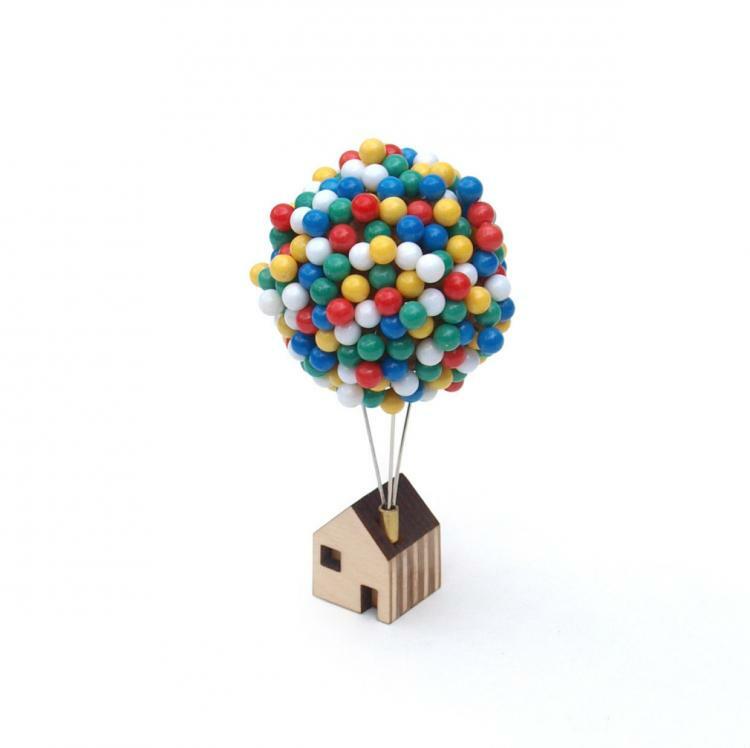 The UP balloon house pin holder is made from cork, birch plywood, steel, brass, and plastic, does not come with pins attached to the cork so you will need to do that after you receive it, comes with 300 various colored balloon pins, and measures approximately 4 inches tall x 2 inches in diameter.